These new creations are true masterpieces. 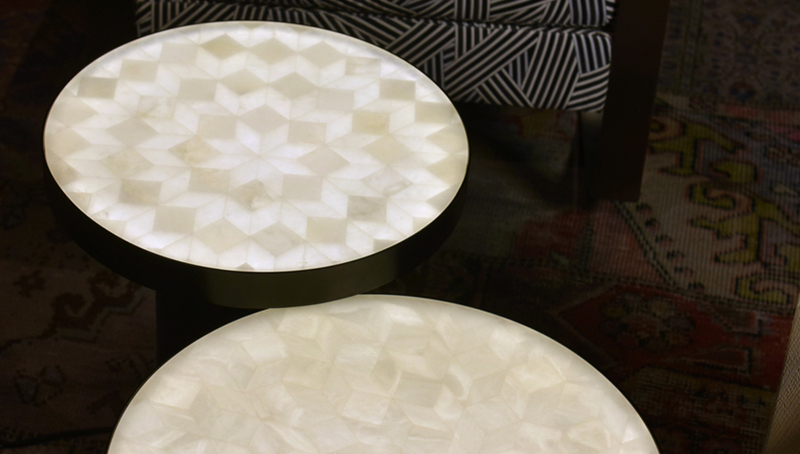 With their sophisticated design and their metallic foot, their shapes are inspired by oriental coffee tables. The table top represent the very demanding work “ébénistes de la pierre” from Atelier Alain Ellouz had to realize. We can note the architectural marquetry touch inspired by Renaissance through the special drawing, directly comoised in the stone. This pattern can be qualified of modern as it is not centered. MARQUETERIE tables are the result of multiple references’ union.